The newly formed Lebanese Government includes four female ministers, a first in Lebanon’s history. Out of these four women is Raya Al Hassan who will be the first ever female Arab interior minister and Dr. May Chidiac who will serve as a Minister of State for Administrative Development Affairs. 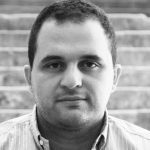 Chidiac has long been a critical journalist and a freedom fighter in times of Syrian hegemony, and was frequently harassed with death threats. In September 2005, a car bomb that was detonated as she entered her car nearly killed her, causing her to lose her left arm and leg. After undergoing tens of surgeries and an exhaustive rehabilitation experience, she went back to host her own prime time talk-show, then founded the May Chidiac Foundation, an organization committed to education, social welfare and human rights with an emphasis on women’s rights, and collected numerous international honors, acknowledgments and accolades. Whether you agree with May’s political affiliations or not, one cannot but admire her resilience, how she overcame this cowardly assassination attempt and what she has achieved in past years. Personally speaking, I always admired her courage especially during Syria’s hegemony over Lebanon, but wasn’t a fan of her political talk shows and how “extreme” her views can get. Nevertheless, it is quite sickening to see the amount of hate and the disgusting comments addressed against May ever since she was appointed Minister. 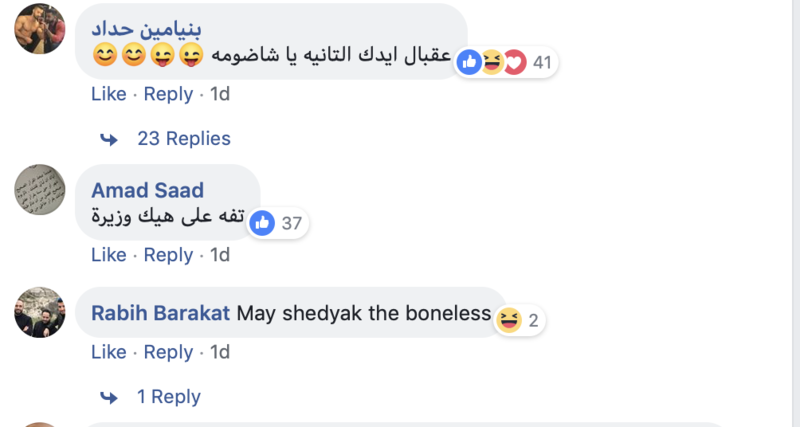 A friend referred me to a FB post on Al Jadeed and the comments are just sickening to say the least. This is not about politics anymore, it is about decency and respecting a JOURNALIST, who was almost killed because of what she stands for. 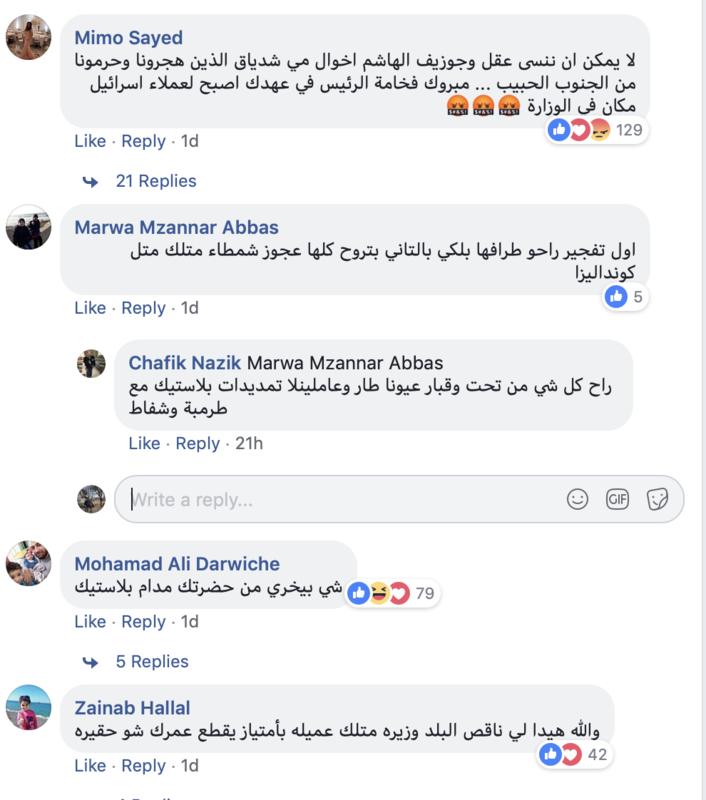 This goes beyond bullying and harassing someone, I don’t even have words to describe people who would post such comments. Where is the Cybercrime Bureau when you need them right? In fact, I’d rather leave these comments out there for all to see. They’re a disgrace on their authors rather than an insult to May.